The Pin Gauge industry's first JCSS certified in category of “Length” in 2009. Logo on the left is a Calibration service mark registration system based on Japanese law. JCSS registered operator has been registered on the basis of the ISO/IEC17025. *ISO/IEC17025: international standard that defines the general requirements for the competence of testing and calibration laboratories. 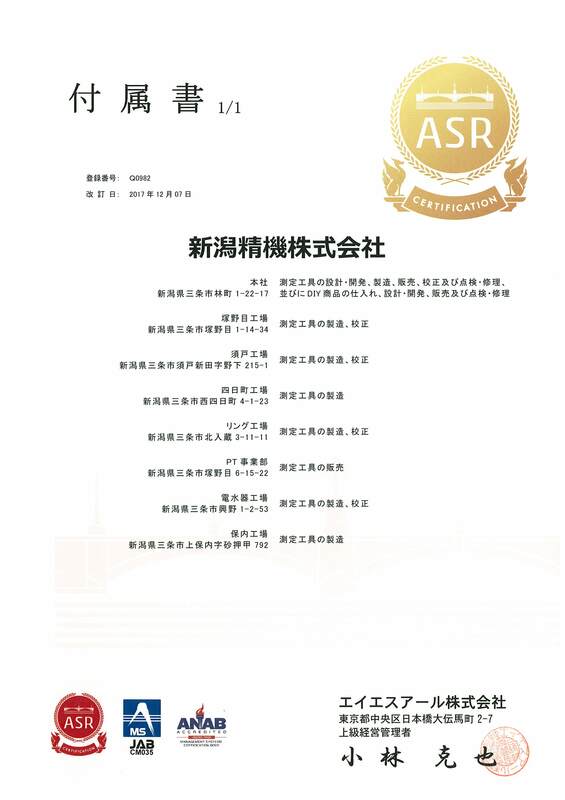 JCSS accreditation is certified according to this standard. 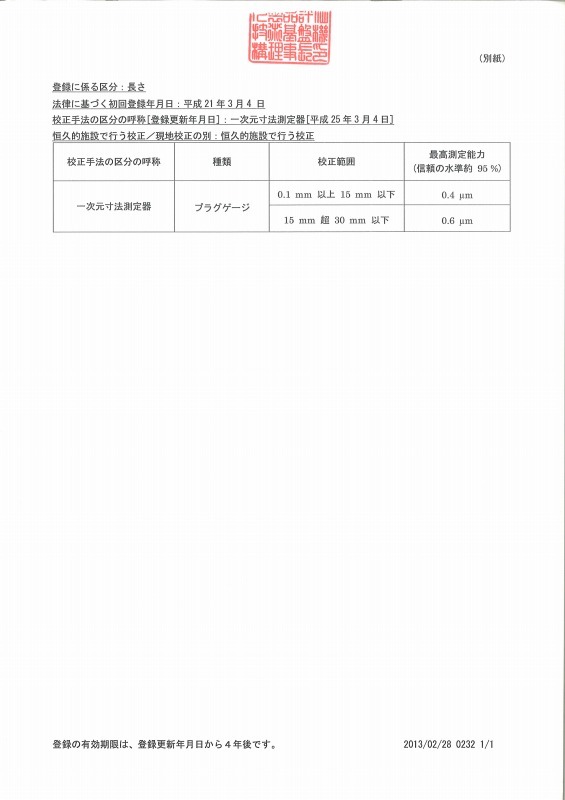 Niigata Seiki conducts calibration work under "4.2 Confidenciality" by ISO/ IEC 17025: 2018 General requirements for the competence of testing and calibration laboratories. 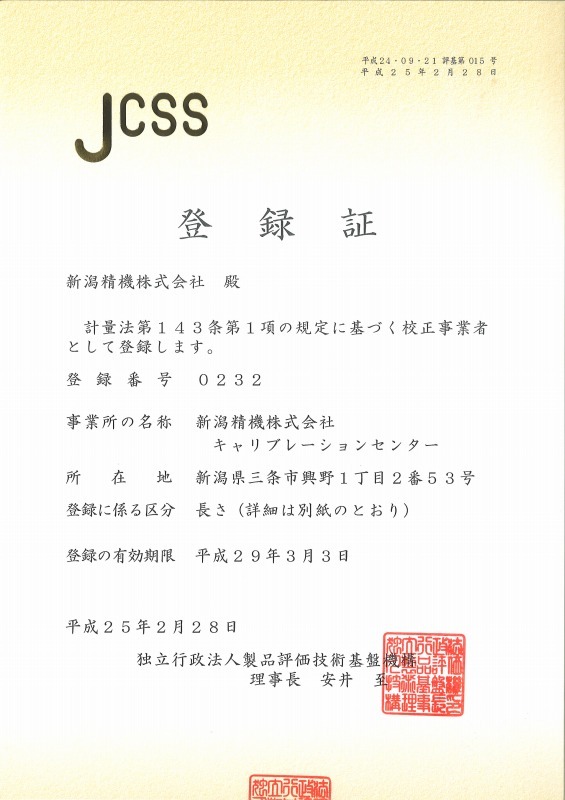 The Yokkamachi factory of Niigata Seiki (manufacturing rulers, carpenter squares) are certified as new JIS standard. 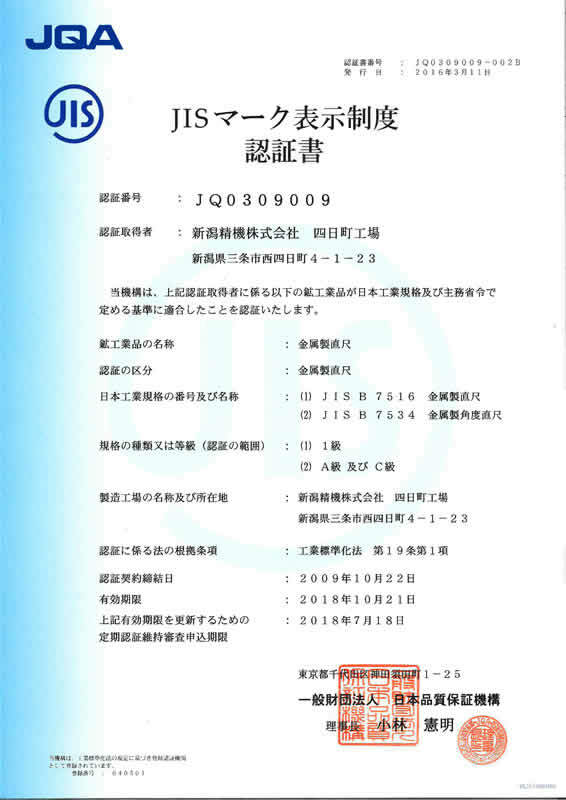 JIS mark indicates that product is certified compliant to JIS (Japan Industrial Standards) quality requirements. 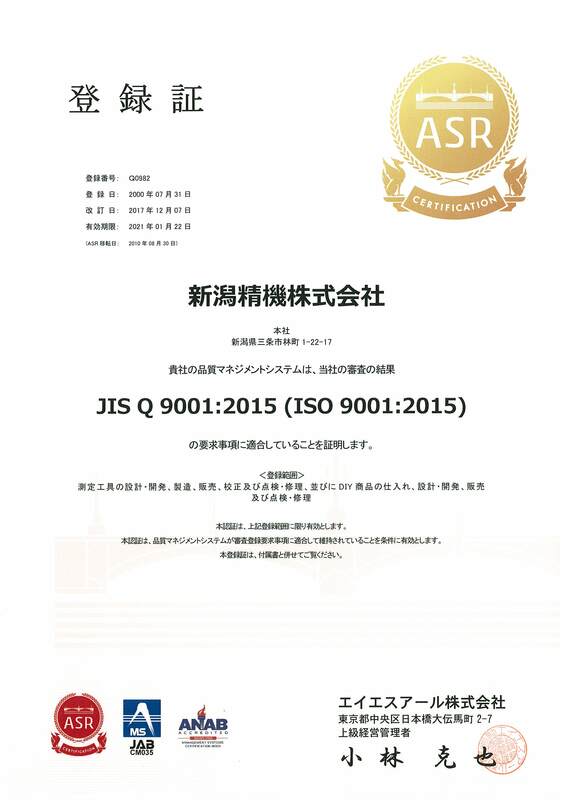 Niigata Seiki, achieved ISO9001 certification in 2000 to provide reliable and quality product through quality management system, since updated to latest ISO 9001: 2008 version. All Niigata Seiki factories and divisions are certified ISO9001 to insure customer satisfaction and the continued development of high-precision products. Niigata Seiki is a member of the Japan DIY Industry Association. Copyright(c)Niigata Seiki Co., Ltd. All Rights Reserved.